Be prepared for the street! 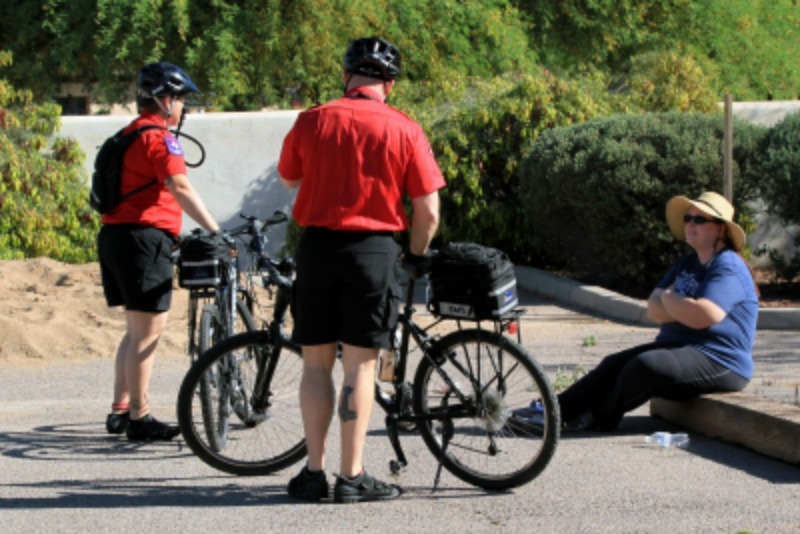 However you use your bike fleet, this essential emergency vehicle operations course will improve your response times and help you meet your goals. 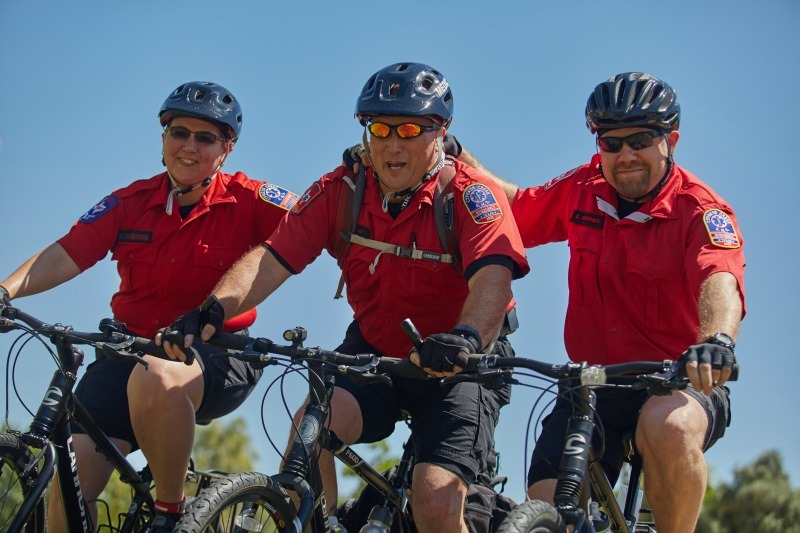 Learn to ride like a pro, avoid crashes, overcome obstacles, and operate your bicycle like the emergency vehicle that it is. 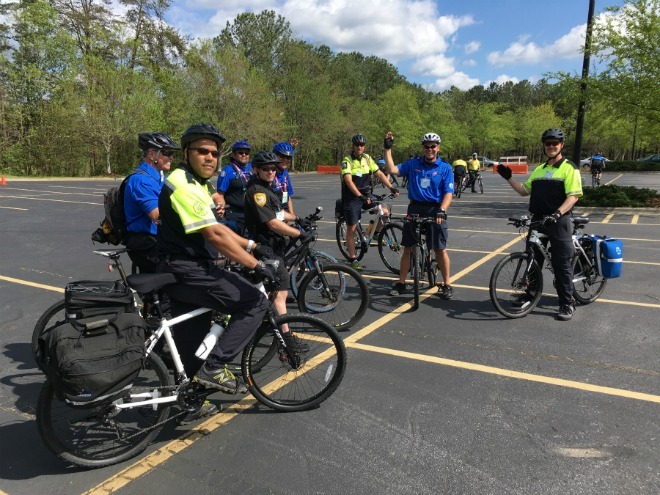 Police and security officers will be armed with bike-specific patrol procedures and tactics, while EMS personnel will learn to select and pack equipment, maneuver a fully loaded bike, enhance scene safety, and employ defensive measures. Includes night operations, scenarios, basic bike maintenance, and on-the-road repairs. This fast-paced course will enhance your technical skills through obstacle courses and off-road riding, teach you maintenance and bike fit tips, introduce you to search and rescue, and enable you to apply your skills in real-world scenarios, including ones requiring inter-agency operations. Prerequisite: IPMBA PC/EMSC/SC Course or approved alternative. Think you don’t need a bike-mounted mobile field force? Think again. Social media helps spawn large, often unruly crowds, and bike officers are uniquely qualified to handle them. 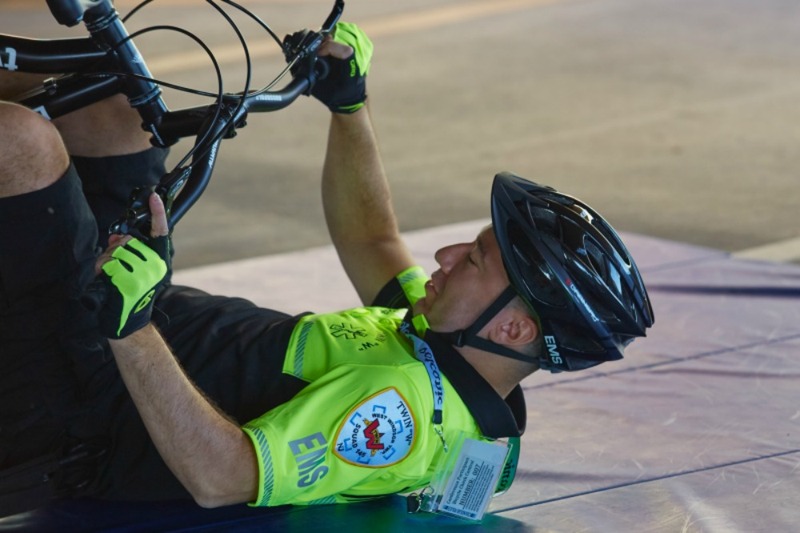 And who better than a bike medic to ensure prompt medical attention is rendered if a team member or bystander is injured? Whether you are preparing for political events, protests, parties and raves, or a championship game, this course will prepare you to manage your crowds and ensure prompt patient care in crowd situations. Practical exercises include formations, single- and double-column riding, arrest/rescue techniques, squad withdrawal, and gas mask drills, complete with smoke and noise! Prerequisite: IPMBA PC/EMSC/SC Course or approved alternative. Riding a bike is not as easy as...riding a bike. Public safety cyclists must learn how to ride both technically and tactically. This course will equip you with the skills to teach others how to use their bikes safely and effectively. Through in-class presentations, on-bike drills, mock teaching sessions, and peer and self-critiques, you will learn to identify and correct improper technique; assist students in overcoming difficulties; and incorporate various methods of instruction into the IPMBA courses. This course is often described by graduates as one of the most challenging and rewarding classes of their careers. Are you in? Application required. Do your bikes take a beating? Having an in-house maintenance officer translates into less bicycle downtime, fewer expensive repairs, and safer, longer-lasting bicycles. This hands-on course will provide you with the skills to maintain your fleet and perform all but the most technical repairs. The curriculum emphasizes preventive maintenance, general repairs, and overhaul of component groups. You will also learn fleet management principles and documentation methods. Bring your bike and tools and prepare to overhaul! Download the tool list and order form.